Weebly has it's own analytics built in to your website. You can Easily track how many people visited your website, which pages they visited, what search terms they used to find your site, and which websites referred traffic to your site directly from the Weebly dashboard. 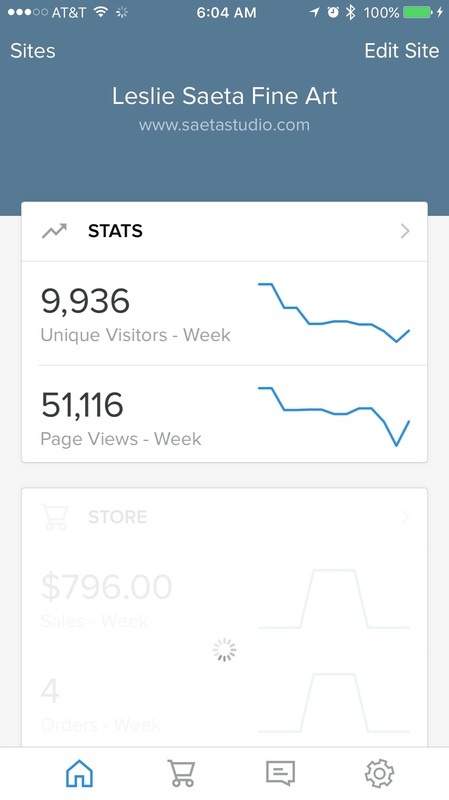 You can also check your site stats from any device with Weebly’s popular mobile apps. Here is a screen shot from my iphone of my weebly stats one day last month. Your website stats are calculated in real-time so you can keep a close eye on your data and traffic patterns. For even deeper insight into your web stats, Weebly makes it easy to add Google Analytics code for advanced website tracking. What do all these stats mean? Page Views: The number of pages visitors viewed on a given day. One visitor may visit three, ten, twenty, however many pages. Unique Visitors: The number of individual visitors who came to the site. The unique visitors number should always be smaller than the page views number simply because one person can visit multiple pages and thereby generate a number of different pageviews. Top Pages: The pages with the most visits. The page called "/" is the home page and it should get the most visits usually. Search Terms: This shows which search terms visitors have entered in Google, Bing and Yahoo to find your site. The more search terms you see, the better ranked your site likely is in on the search engines. Referring Sites: If a visitor clicked a link on another site to reach your site then they have been "referred" to your own site by this other site. The more inbound links you have pointing to your site, the better your search rank will likely end up being. It is important to keep an eye on your stats so you can understand how your marketing efforts are doing. If you review them regularly you will easily learn what is working and what is not!